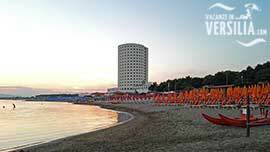 The territory of the town of Massarosa extends itself between the Apuan Alps and the Versilia Coast. In a nice, diverse landscape, one finds the exceptional panoramic areas of Mommio Castello, Corsanico, Bargecchia, the mountain passes of Quiesa, Pieve a Elici, the peaks of Gualdo and Montigiano. 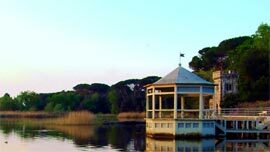 The “fosse” (trenches) and the small islands of the lake of Massaciuccoli, related to the memories of the music of Puccini, are also of a rare and exquisite beauty. It is ideal for those who want to get a taste of bike riding, horseback riding or a simple walk, and for those who want to enjoy an hospitality that expresses itself in many ways: good food, warm welcome, respect for the environment, the innate love of nature. It is possible to follow a series of itineraries for excursions that cleverly mix between them nature, culture, tourism and sport. Whether one follows the white roads of la Bonifica, the embankments along the canals, the hill paths and roads, coming here, one always finds surprises made by an unrivalled nature: hills where the work of man and nature have found a strong harmony, a countryside where ancient tokens, churches, villages, villas, and humble but splendid farm houses give all the richness of history to the landscape. A Romanesque Church is located in the district of Pieve a Elici; it is a prestigious architectural complex of the XIII century, even if the primitive paleo-christian church dates back to the IV-V century according to some experts. The “Church of Saint Pantaleone” ("Pieve di San Pantaleone"), harmonious in its proportions and built with simplicity, is splendidly located on the hills that look over the village. It is the amongst the most important churches of Versilia and it is considered an authentic jewel of Romanesque art. Massaciuccoli is famous for its lake which is part of the natural reserve of Migliarino S.Rossore Massaciuccoli. In the protected area, it is possible to observe migrant birds such as white Herons, grey Herons, Black-winged Stilt, and to see various types of plants such as eucalyptus, white poplar trees, alders, tamarisk trees, water lilies, etc. 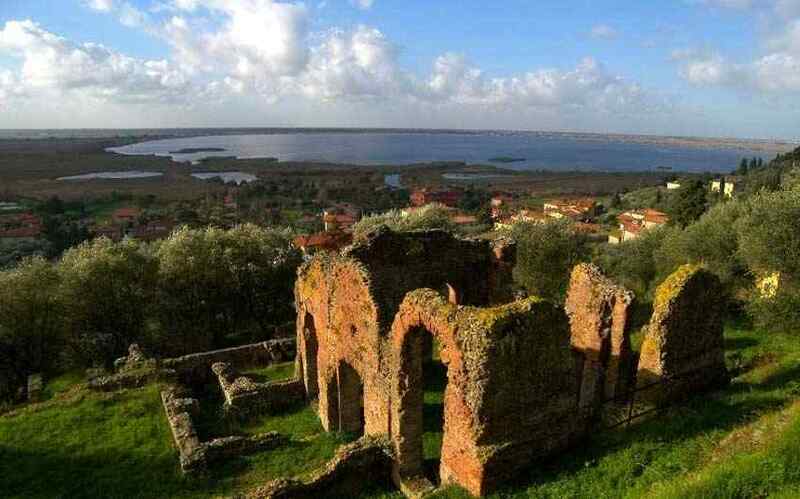 Massaciuccoli is also famous for its ancient walls that emerge among its century-old olive trees. Today, in the archaeological area, it is possible to see the ruins of the roman thermal baths and the floor mosaic. Montramito and Mommio are also to be visited - Mommio found its identity as a village only with the advent of the castle, after the X century, probably during the XII century. To this day, it has maintained the characteristics of the typical feudal castle: on top, the main building, at its feet, the village and among one and the other, the church. Bargecchia, famous for its bells, linked to an anecdote from the life and work of Maestro Giacomo Puccini, and then Corsanico, village of very old origins, Stiava, Pian del Quercione, Piano di Conca and Piano di Mommio. Many of those villages hold works of art and architectural pieces of historical importance, often connected to the presence of fortresses and churches still in their original state.